The Polish say ‘Wesołych Świąt’, the Greeks ‘Kalá Christoúgenna’.The Italians ‘Buon Natale’ and the French ‘Joyeux Noël’. Across the Globe from continent to continent these unfamiliar words are joyously spoken by billions of people, their uplifted spirits filled with heartfelt hope, love and optimism. In Welsh it is ‘Nadolig Llawen’, In Icelandic ‘Juullimi Pilluarit’. In the heat of Africa ‘Feliz Navidad’, whilst in the icy Norway it is ‘God jul’. We simply say Merry Christmas! A simple and sometimes casually spoken phrase that means so much more. Despite all our differences Christmas is enjoyed throughout the world in one form or another. It brings together families and friends; it is a season of goodwill, good intentions and festivity. We make extra special efforts to reach out to those we have lost contact with, renew old acquaintances, put differences aside and forge new friendships. However we embrace Christmas for parties and over indulging, the receiving and giving of gifts, time off work, being with family, enjoying the company of friends or simply relaxing, watching TV and letting the world drift by. Christmas, in a world of challenges, worries, and stress is a beacon of light, of hope and goodwill that most embrace. If one moment in time could sum up the Christmas spirit it would be In the week leading up to the 25th December when French, German, and British soldiers crossed the trenches to exchange seasonal greetings and talk. In some areas, men from both sides ventured into no man’s land on Christmas Eve and Christmas Day to mingle and exchange food and souvenirs. There were joint burial ceremonies and prisoner swaps, while several meetings ended in carol singing. 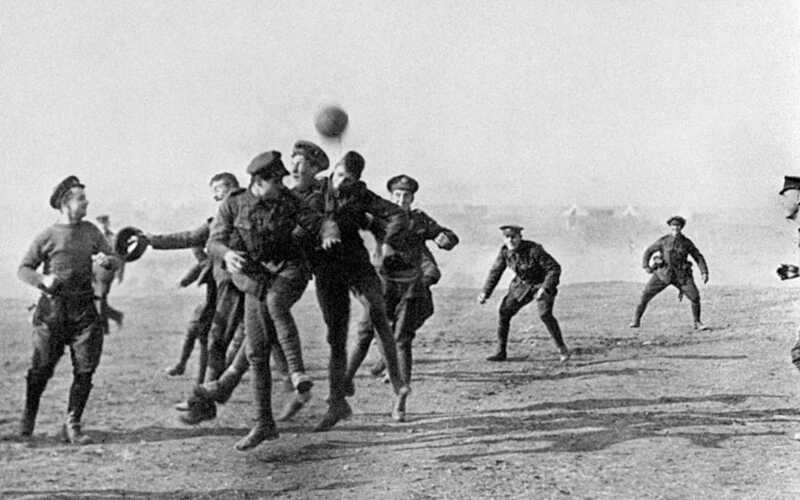 Men played games of football with one another, giving one of the most memorable images of the truce. If the spirit of Christmas could be bottled, we could all have a hearty dose of it every day of the year! Here at fresh we have fully embraced the spirit of the season with our Christmas Jumper day, special Christmas edition of Happy hour, our very own Christmas tree plus the teams efforts to decorate the office with plenty on tinsel Our HR team went the extra mile to organise what was a fantastic Christmas dinner at the Monastery, and kept us in stock of mince pies on the run up to Christmas. On everyone’s desks you will find a chocolate calendar, as we count down to commence our Christmas celebrations! From all here at fresh have a very Merry Christmas and a Happy New Year.